In most sports, most teams have had a bad playing strip or two. 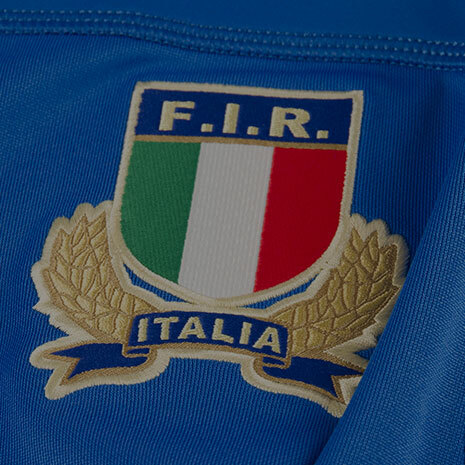 Particularly guilty, is the alternate strip which has less tradition to ties it’s designers imaginations down. 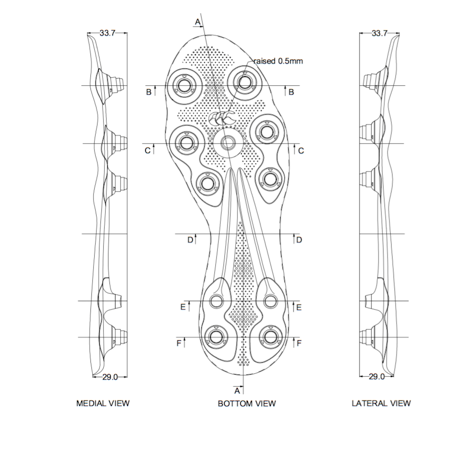 However there are times that the Sporting and Designing Gods sincerely fall out and abominations like the ones below appear. This list is by no means exhaustive and is fairly recent in it’s selection, however, if you disagree, let us know and tell us which ones you think should have made the cut. The only current shirt to make our list (Although if a certain alternate Irish club didn’t have an embargo they might have claimed No. 5). We have a feeling this camouflage style will have had the opposite effect to the original intentions of the classic camo designs. 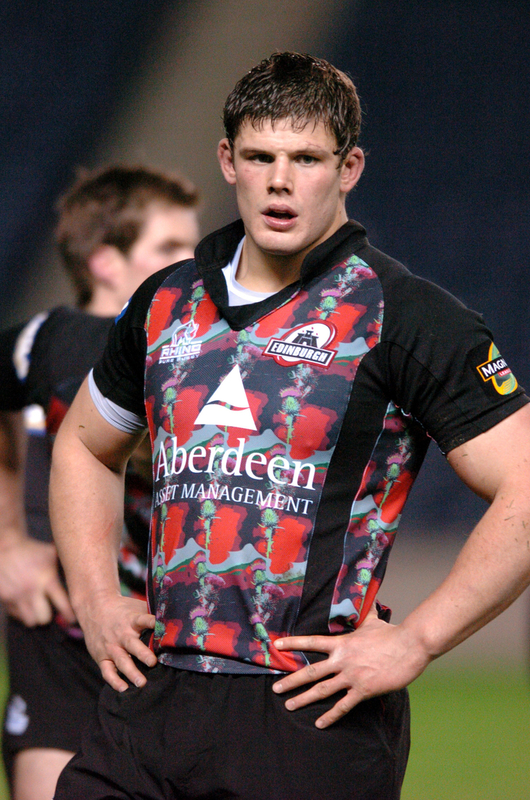 In recent years it seems Edinburgh Rugby have made a special effort to wear tops that defy good design for their 1872 Cup match with Glasgow Warriors. 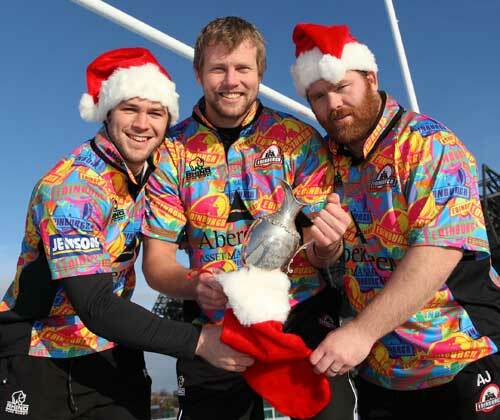 The oldest derby in rugby history, the 1872 Cup is a highlight of the scottish rugby year. These tops have made it stand out even more. 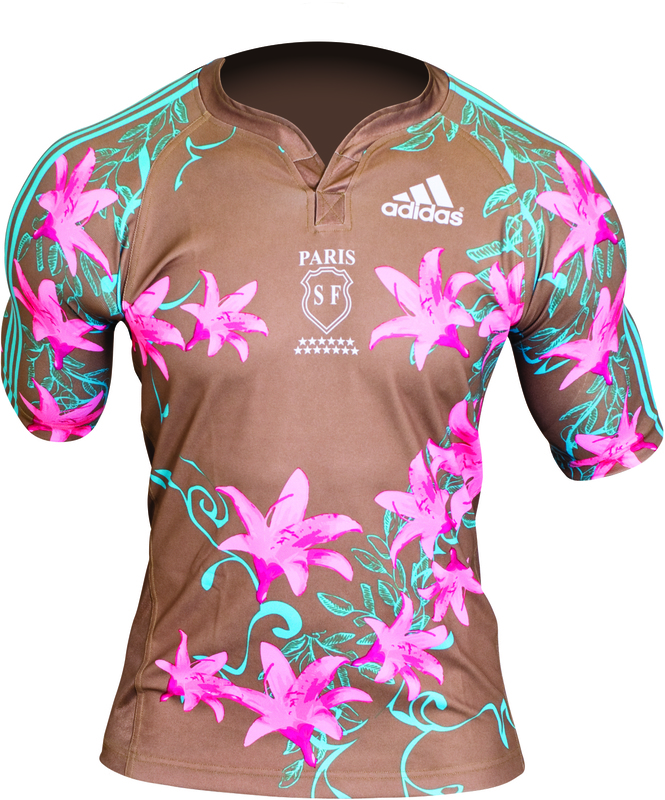 Exhibit B, Exhibit C.
Stade Français now have a history of gloriously out there shirts. Some of which have been instant classics and fan favourites….others not so much. They have also conceived some genuine atrocities. 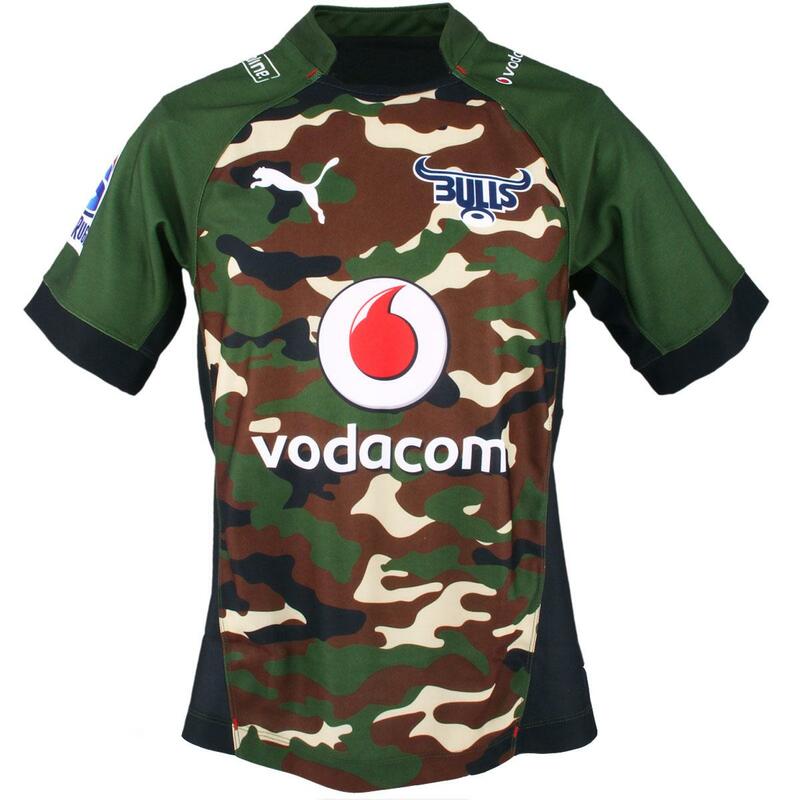 For all the hidden and clever detail included in this shirt it is just a mess of faces and does not look good on the pitch. 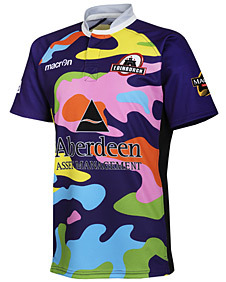 Stade Français keep it bold. Keep it pink. But also keep it simple. My goodness look at that. This one has split opinion. We are of the opinion that this is a mess. 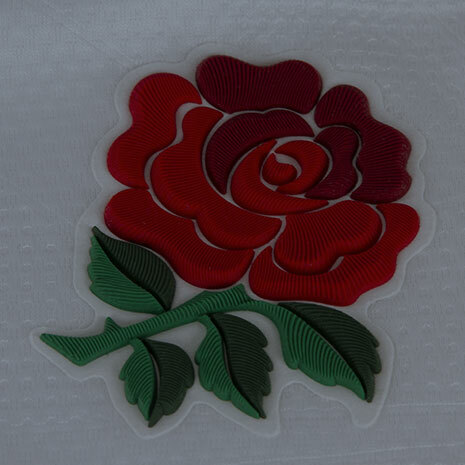 The England team always look their best in pristine white with red detail. Obviously the alternate can take liberties but this has taken all the liberties and tried to leave everyone else with none to play with. Sadly the Paris team make it on to our list twice. How could they not when they took the decision to change their new favourite colour of bright pink and swap it for a base of murky brown. As if the change to pink hadn’t been controversial enough, thankfully the brown has not been a consistent colour on the Stade pallet. 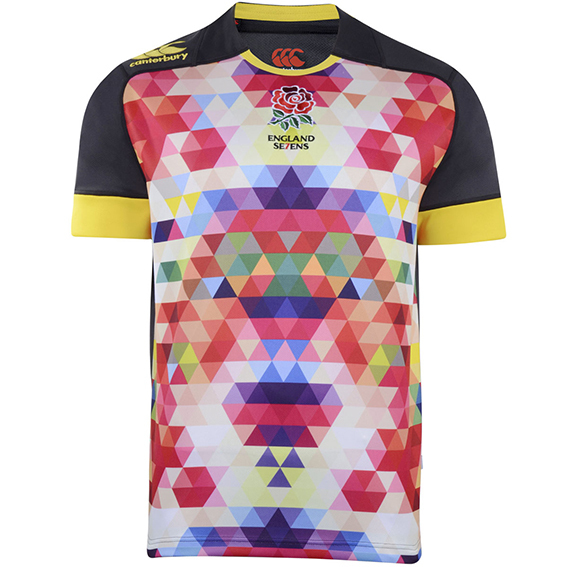 The pink floral pattern only serves to highlight how awful the the colour of the canvas they are presented on. Clearly you’ll disagree with some of choices, you might even like some of these (Those of you who do may want to invest in better monitors). Let us know in the comments below which shirts should make the list and why!